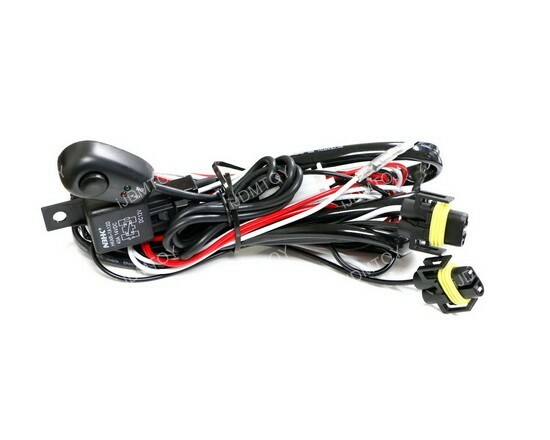 Q: How do I hook up this relay harness? 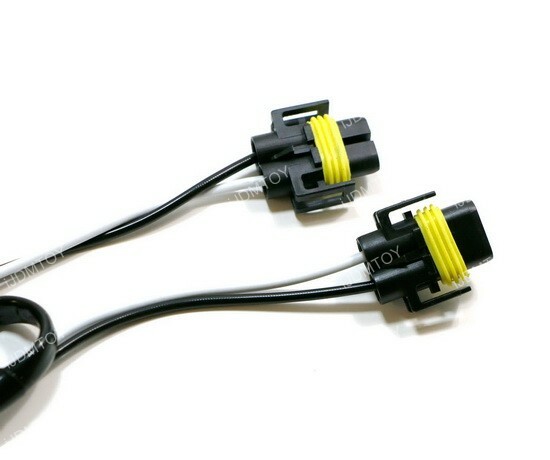 A: You can read more at how to install relay harness. 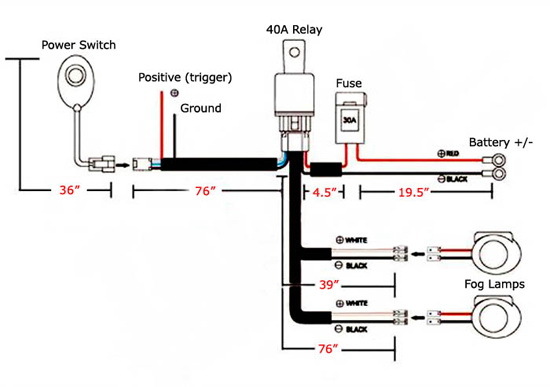 You can also check out this wiring diagram below on how to wire up the relay harness. 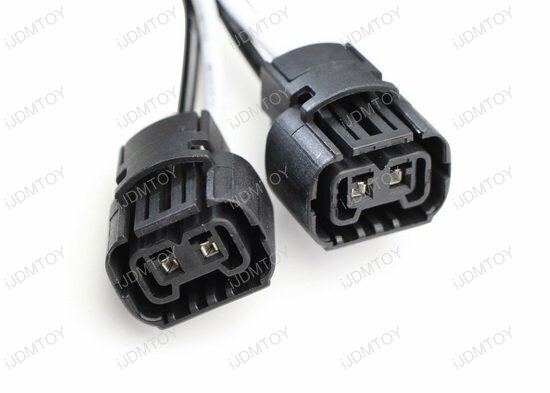 Connect the two output connections (H8/H11, 9005/9006/H10 or 5202/PSX24W/2504) to the fog light. 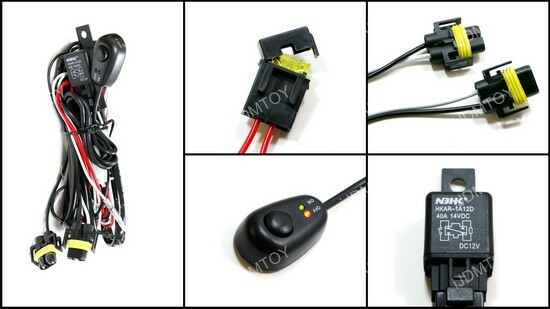 Tap the red and black wires (with the ring) to battery positive and negative. 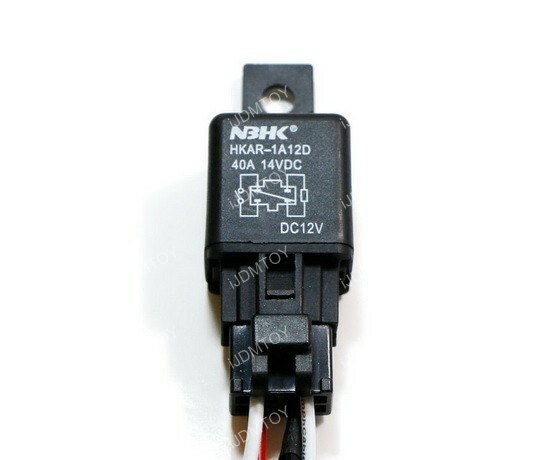 Connect the switch to the relay. 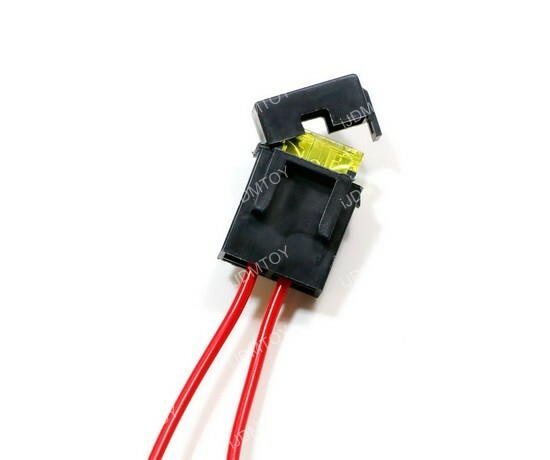 Tap the other black wire to the ground. 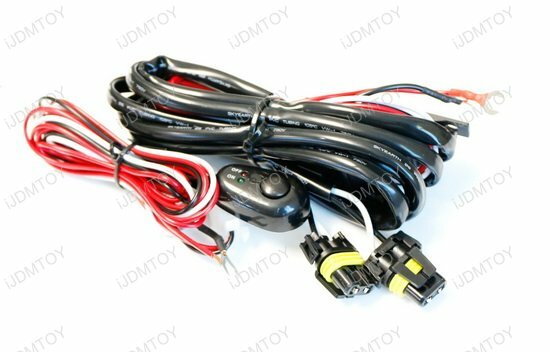 This page features one set of brand new battery H11/H8, 9005/9006/H10 or 5202/PSX24W/2504 relay wiring harness with On/Off switch, universal fit for replacement fog lamps, HID lights, add-on fog lights, LED daytime running lights, LED work lights and many many more. 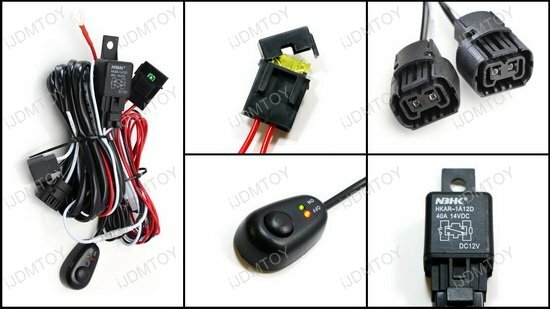 2004 Infiniti fx35 Great wiring harness with fuse, switch and relay. Wired 4 light fixtures to it and ran it to an auxiliary fuse that comes on with the key. 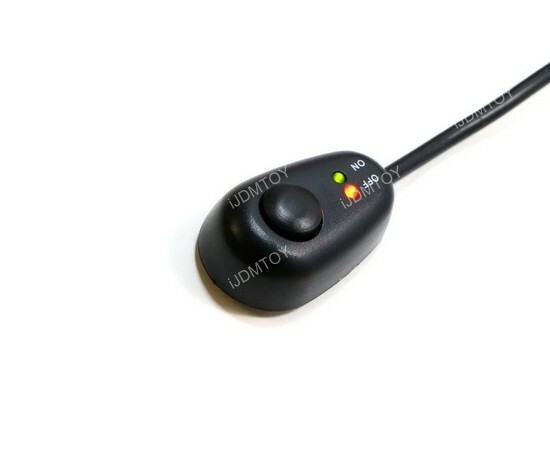 In this model, there were no day time driving lights. 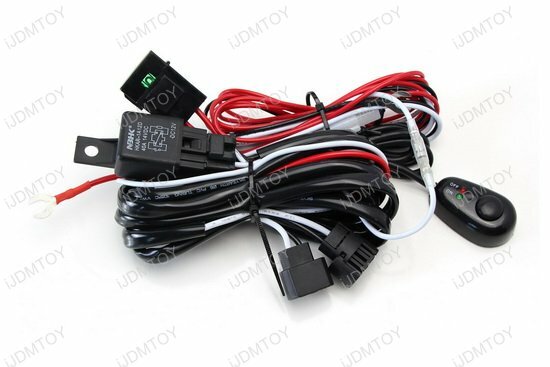 Only fog lights and running light and both would only turn on with the head lights. So I upgraded the lights to 2500/2600 lumens led and now have awesome driving lights. 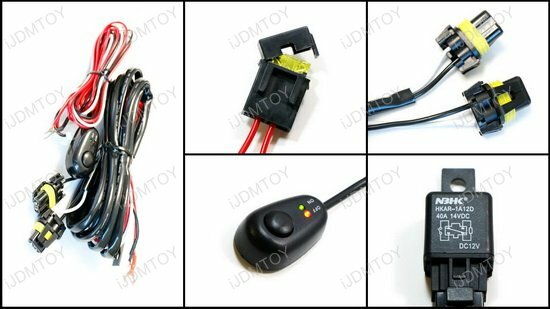 Needed to add fog lights to a vehicle that didnt come with fog lights from the factory this H11 or H8 relay wiring harness kit comes with everything you need to wire them and make it work. 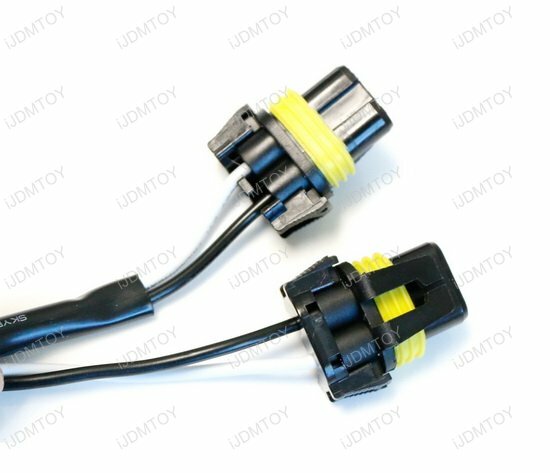 Water proof relay for outside use. 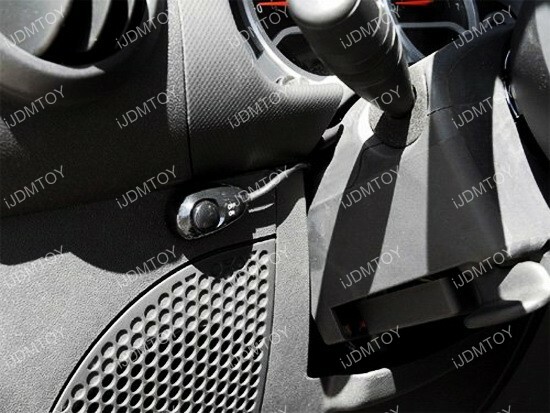 Plenty of length in harness for a 2016 Chevy Colorado fog lights. Switch is cheap but works perfect. It works perfectly on my Subaru. It was also easy to install.